When a teen runs away from his father’s mysterious commune, he sets in motion a domino effect that will connect six characters desperate for hope and love, set across the sun-bleached canvas of Los Angeles. 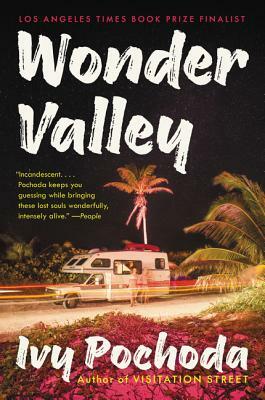 From the acclaimed author of Visitation Street, a visionary portrait of contemporary Los Angeles in all its facets, from the Mojave Desert to the Pacific, from the 110 to Skid Row. During a typically crowded morning commute, a naked runner is dodging between the stalled cars. The strange sight makes the local news and captures the imaginations of a stunning cast of misfits and lost souls. There's Ren, just out of juvie, who travels to LA in search of his mother. There's Owen and James, teenage twins who live in a desert commune, where their father, a self-proclaimed healer, holds a powerful sway over his disciples. There's Britt, who shows up at the commune harboring a dark secret. There's Tony, a bored and unhappy lawyer who is inspired by the runner. And there's Blake, a drifter hiding in the desert, doing his best to fight off his most violent instincts. Their lives will all intertwine and come crashing together in a shocking way, one that could only happen in this enchanting, dangerous city. Wonder Valley is a swirling mix of angst, violence, heartache, and yearning—a masterpiece by a writer on the rise. Ivy Pochoda grew up in Cobble Hill, Brooklyn, and is a former professional squash player. She is the author of The Art of Disappearing and Visitation Street. She now lives in Los Angeles with her family.